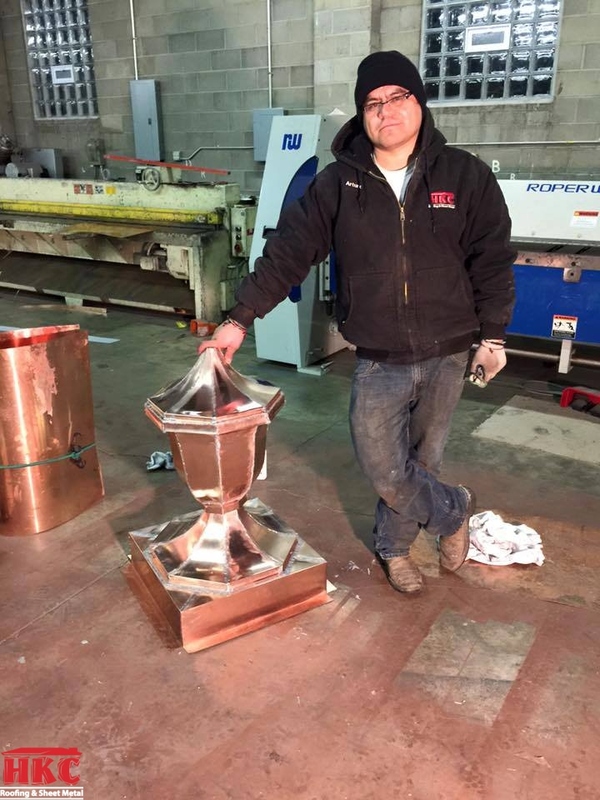 It was too cold to work on roofs today so we’re catching up on some ornamental work! 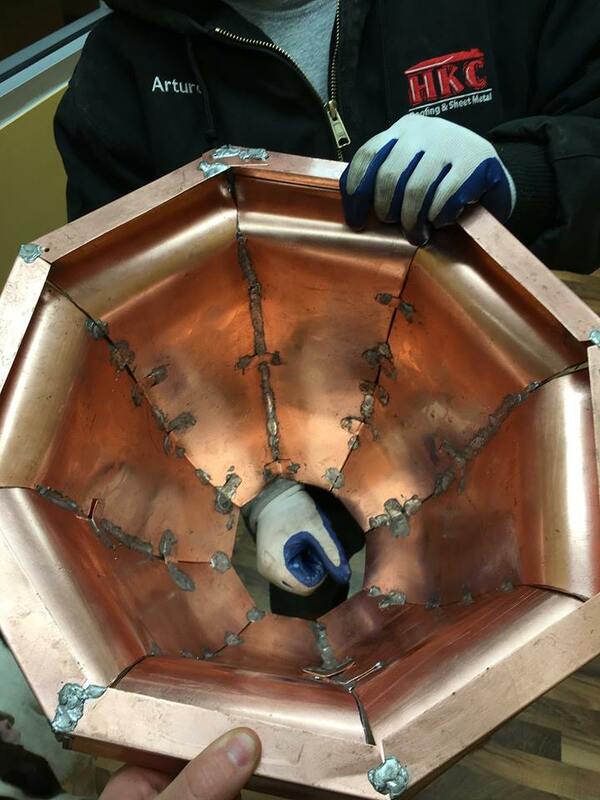 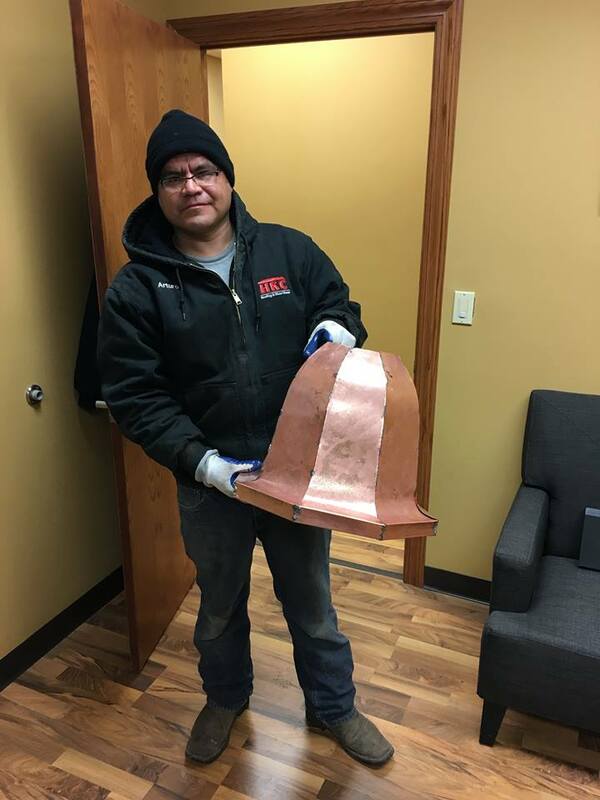 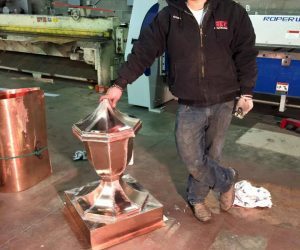 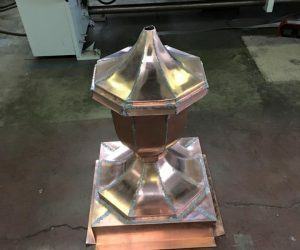 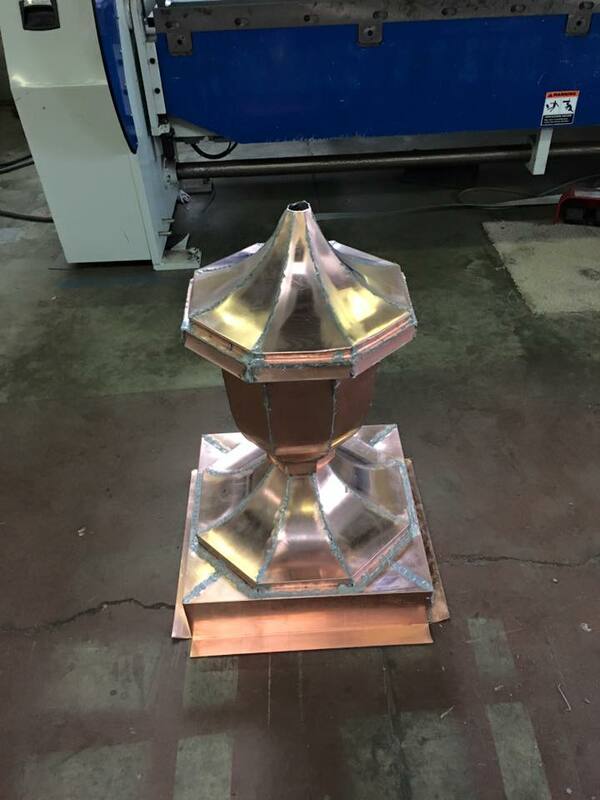 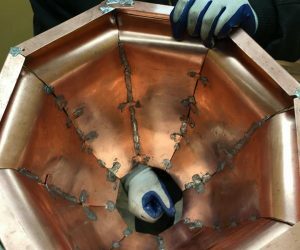 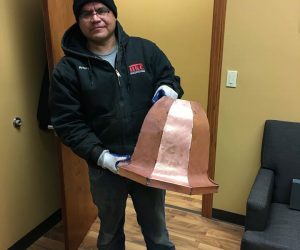 We have (8) of these ornamental copper fixtures to make for a 20 story building in Cincinnati, Ohio. 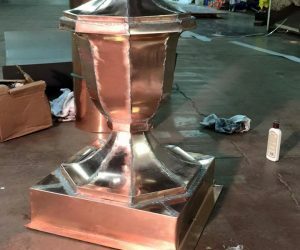 The old metal pieces were destroyed over the years so the owners decided to replace them. 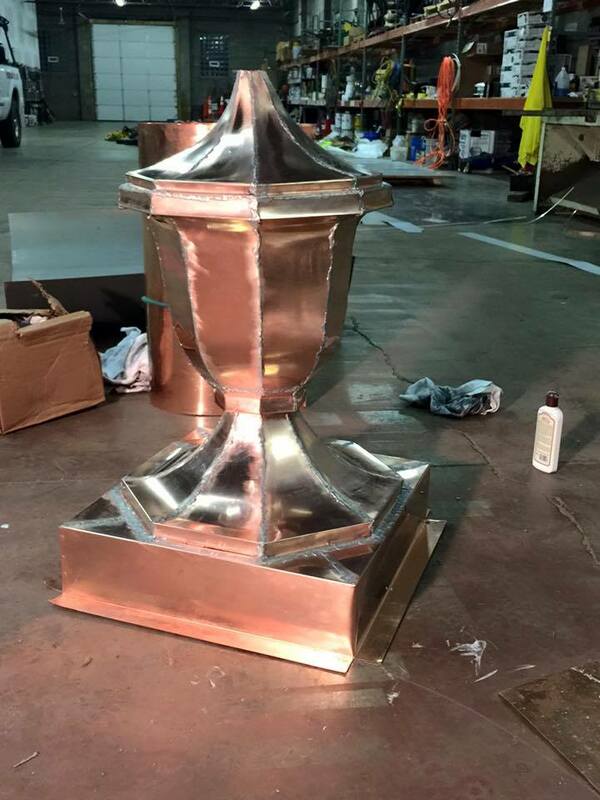 Our technician, Arturo, did an excellent job recreating these beautiful works of art!